After registration you shoud PRINT the ticket. Please note! 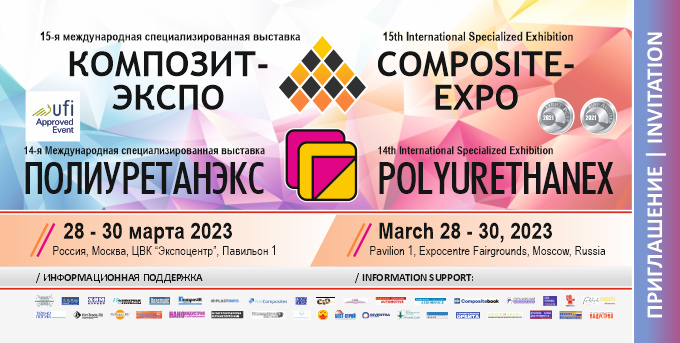 Visiting is free of charge if you register to visit Polyurethanex 2018 Exhibition. If you want to take part in the conference as a visitor, please, fill in the form below. In this case you will be able to visit the Composite-Expo Exhibition as well. Do you agree to receive newsletters about the exhibition and the composites industry via your e-mail? Attention! fields with * should be filled. Note: I hereby confirm that the personal data I indicated in this Form fully comply with the Federal Law “On Personal Data” dated July 27, 2006 No. 152-ФЗ (in particular, paragraph 10, clause 10, article 6, article 8, clause 4 of clause 2 of article 22), and also express my consent to their processing (including by ordering such processing to a specialized organization). In this case, the organizing company undertakes to process personal data, while respecting their confidentiality and security.